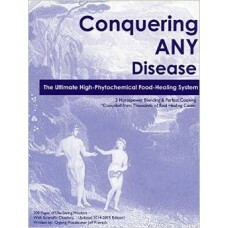 Conquering Any Disease is Easy-to Read and engages all types of people with nature’s wisdom and science. 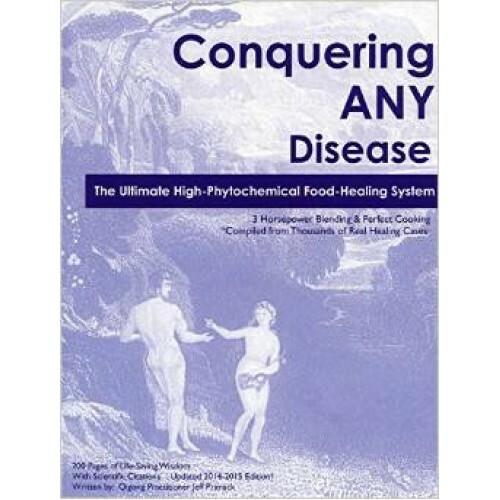 It has sold over 100,000 Hard Cover Copies and been taught in seminars with large numbers of Healings for: Allergies/Sinuses, Alzheimer’s/Memory, Anti-Viral/HIV/Hepatitis, Anemia, Arthritis/Inflammation, Asthma/Lung, ADD/Mind Focus, Autism/Mercury Detox, Cancer/Tumor/Cyst, Colds/Flu Virus/MRSA, Constipation/IBS/Ulcers, Depression/PTSD, Diabetes, Eye Diseases/Vision, Heart Disease/Stroke, Infertility, Insomnia, Kidney Stones, Liver Disease/Cirrhosis, MRSA Infection, Menopause, Muscle Building, MS, Osteoporosis, Parkinson’s, Seizure Disorders, Sexual Power, Thyroid Issues and Weight Loss. Several Western MD’s Physicians are using these protocols in their practice. All protocols are “time-tested” with thousands of Qigong students. This new 2015-2016 edition contains the largest update since the book’s first release. Book now has 75 Page “Glossary of Phytochemicals & Fatty Acids” with easy to read functions and supportive science.